‘Tis the season for holiday celebrations up and down 30A and beyond. We have our own version of a “winter wonderland” with the white sugar sand, a worthy substitute for snow! During December, there are so many activities and events available to help your family create a sense of wonder and joy this magical season. The Twelve Nights of Lights at the Village of Baytowne Wharf starts December 2nd and lasts the entire month. 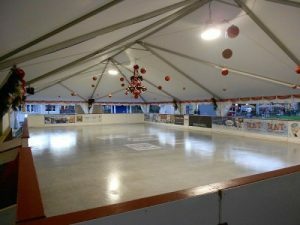 This festive light show in the Baytowne Wharf Events Plaza features favorite holiday music every Wednesday, Friday and Saturday until Christmas at 6:00 p.m., 7:00 p.m. and 8:00 p.m.
Other activities in Baytowne include Ice skating on the Baytowne Ice skating rink through Feb. 11th and the Tuba Christmas and Holiday Lantern Parade is held on Dec 10th from 5:00- 9:00 p.m. featuring commissioned paper lanterns in the shapes of holiday symbols. The Tuba Christmas performance is at 5:00 p.m. followed by the parade at 6:00 p.m. Admission is free and open to the public. Festival of Trees is found at Grand Boulevard in Miramar Beach. 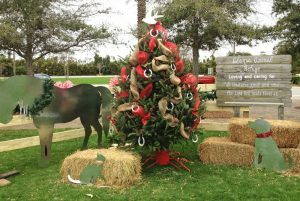 The Seventh Annual event will showcase 12 uniquely-decorated Christmas trees from area non-profit organizations. The trees will be on display through Christmas and open to the public at no cost. The South Walton Elf Ride is December 4th from1:00 – 4:00 p.m. Come to Van Ness Butler Jr. Beach Access parking lot on Western Lake Dr. in WaterColor in costume and with decorated bikes. The ride ends at the SWFD’s Fire Station at WaterColor Crossings. You’ll want to bring at least one gift to benefit the SWFD’s Angel Tree Program. There will be prizes for Youngest Elf, Best Costume, and Best in Show. And Jolly old Santa will be there! A wonderful holiday tradition is the Wreaths for Alaqua at Old Florida Fish House in Seagrove Beach on Dec 8th at 6:30 p.m. The Alaqua Wreath Auction raises funds for the private, nonprofit animal sanctuary with 100% of proceeds benefiting the no-kill facility in Freeport, Florida. On Dec 10th from 11:00 a.m. to 5:00 p.m., plan to join the Market Shops Holiday Bazaar ArtWalk at Sandestin Golf and Beach Resort. This is held in conjunction with the Cultural Arts Alliance of Walton County and will include an artist marketplace, live music by the Fort Walton Beach High School Valhalla Choir and children’s activities. 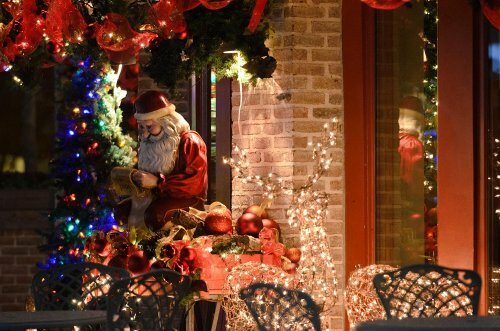 Café Thirty-A in Seagrove Beach will hold its annual Christmas Charity Ball on Dec 10th, starting at 7:00 p.m. 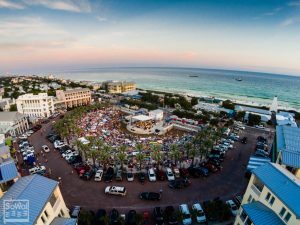 The Charity Ball benefits Caring and Sharing of South Walton with delicious food and cocktails, DJ Vladi, a huge silent auction and dancing of course. Tickets are $75 per person and include a glass of champagne and a buffet dinner. Peter White Christmas is being presented in the Mainstage Theater of the Mattie Kelly Arts Center in Niceville, FL on the campus of Northwest Florida State College. The smooth jazz event takes place on Dec 10th at 7:30 p.m. and features Rick Braun & Euge Groove. You can purchase tickets online at www.MattieKellyArtsCenter.org. Sinfonia Swingin’ Holiday featuring The Manhattan Transfer takes place on Dec 16th at 7:30 p.m. at the Destiny Worship Center in Miramar Beach. Sinfonia’s annual holiday concert presents a stunning musical event this holiday season with orchestral arrangements of seasonal classics and the pop and jazz stylings of the Manhattan Transfer. Tickets are available online at sinforiagulfcoast.org. Holiday Open House with Santa will be offered in the town of Prominence on the east end of 30A near WaterSound Beach and Hub 30A on Dec 17th from 12:00 p.m. – 3:00 p.m. Hors d’oeuvres and holiday drinks will be served. The Seaside Pops Concert will be held on Dec 17th at 5:30 p.m. in the Seaside Amphitheater. 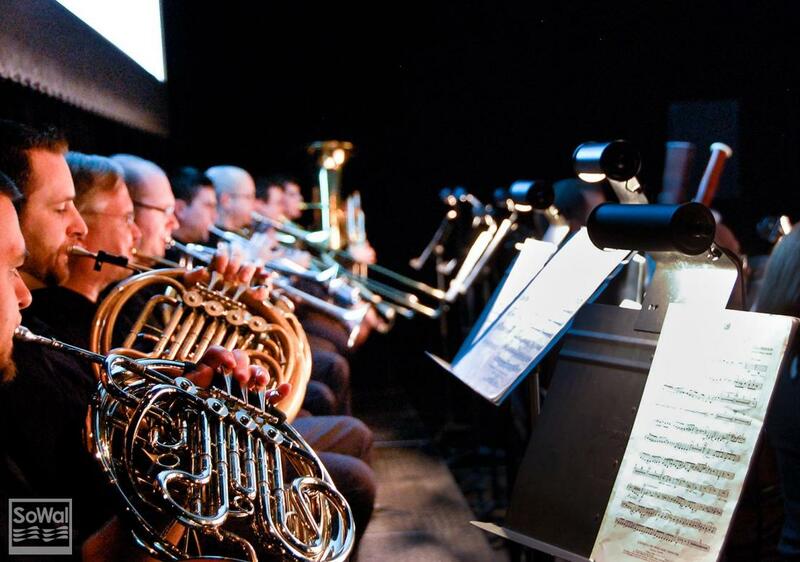 Enjoy the much celebrated Pensacola Symphony Orchestra with the sounds of the season. 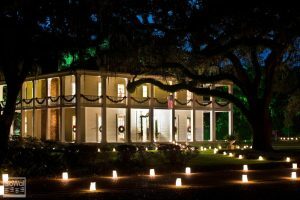 A Christmas Candlelight Tour and Open House at Eden Gardens State Park in Point Washington takes place Dec 17th from 5:00 p.m. – 8:00 p.m. 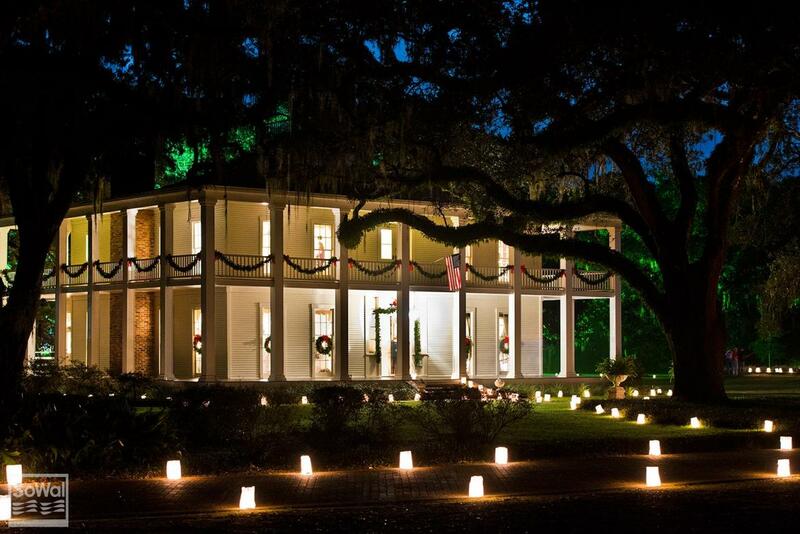 There will be a walk through the luminaries to the Historic Wesley House, greetings by carolers and a tour of the home’s beautifully decorated rooms. After the tour, the Friends of Eden will be providing refreshments in the pavilion. Alys Beach Holiday Movie, The Santa Clause, will be shown Dec 29th at 5:15 p.m. at the Alys Beach Amphitheater. This event is free and open to the public. The Jolly Jubilee at Destin Commons runs through Dec 24th with a slate of holiday events including a fully lit and decorated 38′ Christmas tree and twelve large reindeer topiary shrubs up to 14 feet tall. Entertainment at the Jolly Jubilee features: Dickens Carolers from Emerald Coast Theatre Company on Dec 3rd, 10th and 17th from 12:00 – 2:00 p.m., Alfonso Dance Academy presenting holiday dance performances at Center Plaza on Dec 3rd from 2:00 – 4:00 p.m., Rocky Bayou Christian School Band performing holiday favorites on Dec 11th from 11:00 a.m. – 3:00 p.m. and Brite Starz Dance Studio holiday recital on Dec 11th from 4:00 – 5:00 p.m.
Baytowne Countdown at the Village of Baytowne Wharf is Dec 31st. Come and ring in the New Year while dancing to live music and enjoying two fireworks shows at 8:00 p.m. and midnight. 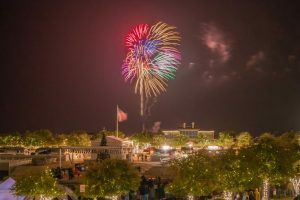 Countdown Seaside is a family friendly way to usher in 2017, featuring music, children’s activities, street performers and fireworks on Dec 31st from 7:00 p.m. – 12:30 a.m.
As you can see, the merriest of holiday events are all around. So get your family all dressed up and hit the town, because this holiday season is going to be merry and bright!